Don’t forget to sign up to my newsletter to make sure you don’t miss the second part of this interview. Dr Joneja thanks for joining us today. I’d like to start off with an explanation of how allergies are different to histamine intolerance. Do you believe it’s possible to lessen allergic reactions by lowering our overall histamine level? That’s a very good question and the evidence seems to be pointing to the fact that – yes, this can happen. But we have to look at the reasons for histamine excess in the first place. Very often this seems to be associated with a low level of the enzyme systems called Diamine Oxidase, which break down excess histamine. Now when the histamine in the body reaches a level that the enzyme can not cope with, then we’re into the excess situation. Now, if a person has an allergy and in addition, for example, has a low level of the enzyme that breaks down the excess, we then need to lower the level of histamine overall, so that the body can cope as little better. Now, what I’m referring to here is research that indicates that people who are prone to having anaphylaxis as a result of an allergic reaction, which in some cases can be life threatening, may also have a low level of the Diamine Oxidase, which means that the histamine being released in the allergic reaction is not being broken down as rapidly as in another person, and this can reach a level where that anaphylactic reaction can be so severe it is life threatening. So in those situations, most definitely, one can reduce the effects of the allergy by reducing the histamine. Now, that is supported by research. Wether one can actually reduce the severity of an allergic reaction in people who have a normal level of the enzyme has yet to be proven by research but it would be logical to assume that perhaps one could. Could you please give us an idea of how histamine intolerance, mast cell activation and mastocytosis are different; if in fact they are? Well, actually, it’s all the same thing, because histamine is made, synthesized and stored within mast cells – so the mast cells are the focus of where the histamine comes from. So if, for example in a condition such as mastocytosis, we have an excess of mast cells, which, of course, means we have an excess of stored histamine. So anything that is going to trigger the release of that histamine, is going to lead to an excess of histamine; it’s not an allergic reaction – it is mast cells that are in excess, therefore histamine is going to be in excess, and anything that could reduce that histamine is going to be effective to a certain degree in reducing the symptoms that result from the release of histamine from the mast cells. So that’s the important factor in mastocytosis and similar conditions where there’s just too much histamine stored and then when it’s released, of course we have far too much of it so that is definitely a histamine associated condition which we could call histamine excess – not really histamine sensitivity in its sense of being due to an enzyme deficiency, but it’s definitely an excess of histamine. I was initially diagnosed with histamine intolerance in 2010 by a histamine plasma and diamine oxidase test. It was only just a few months ago I found out that I actually have mast cell activation disorder – which makes sense in terms of the very severe symptoms I experienced; including anaphylaxis. What advise do you have people who believe they have a histamine disorder and are looking for diagnosis? Now, you have brought up a very important point here – and that is that we do not have any definitive tests either for DAO function or histamine levels. What I mean here is that histamine fluctuates in the body constantly. We require histamine for brain function, it’s a neurotransmitter. We require histamine for digestion because it’s the trigger for the release of gastric acid, which is always released when we start to eat – it’s the first stage of breakdown of protein in the stomach, for example – and we require it constantly for protection because histamine is one of the ways the body fights infection or any adverse event in the body because these events will result in inflammation as the result of histamine release. So, histamine fluctuates in the body constantly, and so a normal level would be different when, for example, a plasma sample is taken at different times during the day – different events during the day – and then in addition we might be able to measure DAO in blood, but it does not translate – never will translate – until we’ve got far better research into what is the importance of that level in clinical outcome. For example, you could say – ok, a plasma level of DAO of such and such will mean that you are going to have a histamine excess. Well, that really is not the case. Diamine Oxidase is at different levels in different organs throughout the body and we have it in the digestive tract, we’ve got it in the kidneys, we’ve got it throughout different organs at different levels and so how these function in controlling the level of histamine and how that translates into histamine excess symptoms is totally unknown. So this, unfortunately, although it’s actually very fashionable to take these tests (laboratories are making a lot of money from these tests), they really don’t tell us very much at all. So, there we are in the beginning of this being recognised as a separate entity from allergy, but the research does not tell us exactly what this is going to translate to in a particular individual. Very interesting you say that because it’s something I’ve suspected that for a long time. You are correct – a lot of people are suspecting this now as they realise that the research does not support this. And does not support the way.. you know, we’re so used to medical tests – that’s our problem – so used to being told that we have to have a test for every condition that we see. The test results will then determine the diagnosis, the diagnosis determines therapy and so on and so forth.. That’s what we call the medical paradigm. And, unfortunately it can not be applied either to histamine sensitivity or to allergy, if we really take it to its extreme – but we’re talking about histamine sensitivity, so we really don’t want to go into the complexities of allergy at this point. But I just want to emphasise that – no, it does not apply at the level that our research is at the moment. So if someone suspects they have a histamine condition, how would you advise they go about confirming it? Well, as a result of my own research and the articles that I have written, I have as very large practise in this particular condition because so many people have the situation where they suspect they have an allergy and often their general practitioner might also, because of the symptoms, send them for allergy tests – they’re negative – and so they start looking for answers. And of course on the web now we’ve got a lot of references to histamine intolerance – many of which are totally and completely wrong, but there we go! The idea is then planted and then they will go to look for tests, because that’s our medical paradigm. The tests will then either confirm – and often do confirm, because these tests are often indicative of fluctuating histamine levels, which can be high in certain situations and so on, and maybe low Diamine Oxidase although we can not specify what low Diamine Oxidase is because we don’t have an normal level to compare it with.. And so, they end up saying “what do I do now?” When they come to me, after having had many different routes around, what I do is to look at their history – that’s very, very important – so I need their medical history, I need all the results of every test they’ve had and then if the indications are (oh, and they always keep a seven day food and symptom record very carefully, I give the instructions and the recording chart) then, based on that, if it is clear, and often it is very clear, because I suppose I’ve been doing this for almost twenty years now, so one sees this pattern very clearly, or not.. And then I start a low histamine diet – very important. Then, as a result of that, which I developed over the years based on my research, then we can tell very quickly whether they have a histamine sensitivity problem because the results are quite dramatic. And then after that we can then perhaps introduce the idea of supplementing Diamine Oxidase as see if that will then help the problem. But in most cases if it is histamine sensitivity, we’ll reduce the external forces of histamine – and that’s all we can do. Then, in itself, it becomes both a diagnosis and a therapy. The results of the diet are indeed dramatic, I went from thinking I was on my death bed to being pretty much fully functional in a matter of months. It was amazing. Yes – actually, I’ve had people improve within a few days of reducing it, particularly if they are already following a high histamine diet, as many people do – unknown to themselves. Absolutely – they’re thinking they’re being good to themselves by eating all the foods they’re told are healthy – avocados, tomato, fish, shellfish. That brings me to the question I am definitely most asked – which foods are safe. My response is that it varies from person to person, aside from the ones that are agreed upon by most lists: soy, shellfish, fermented foods etc. Absolutely, I think that is the most important question and I’m very happy to be able to answer it for you because there is so much misunderstanding about the condition and how to manage it because people don’t understand the process – and that’s what I’ve been researching: I always go to the cause, to the process – what is happening, before throwing around different lists and so on. Now, the most important thing about histamine intolerance is that – and this is the biggest difference between histamine intolerance and allergy – histamine intolerance is a dose related condition, which means that when you exceed your own limited tolerance, then you are going to show symptoms. So, to make this very simple, I give the analogy of filling up a bucket with water. We start at the bottom of the bucket with essential histamine – that will be histamine that our body makes for brain function, digestive function, protection – so we’ve always got a little bit of water in the bucket to begin with. Now if a person has an allergy, for example during the pollen season, so there are respiratory allergies, such as hay fever, they’re releasing more histamine, so that adds more water to the bucket. And then they may be consuming – well, they may even have an allergy to cats or dogs or something, so animal dander can add a bit more to the bucket. Then, they may be eating a high histamine diet: tomatoes -for example, cheese, a glass of wine, a pizza with pepperoni – each of these are adding on to the water that is already in the bucket. Some of these are already quite high and adding more and more and more – when that total level reaches the top of the bucket, it overflows – that’s when symptoms occur, because that’s exceeded the enzymes in the body’s ability to break down the excess and excrete it through the kidneys. So then we see the symptoms – so you can visualise the top of the bucket being that particular person’s limit of tolerance and they’ve filled up the bucket and it’s overflowed and that’s their symptom trigger. So, what we’re dealing with is: each of the different events that are going to add to the water in that bucket. That was your question – where are these things coming from? Multiple sources, but as long as we understand each of the sources, we can control it. What we’re doing is reducing that level that is above the level in the bucket that we require. So anything on top of that – especially in the diet – we’re going to bring down that level in the bucket. So, let’s look at where this histamine is coming from outside the body. This is what we call extrinsic histamine. So, as you said, we’ve got a variety of different foods – let’s look at the food themselves: where is the histamine coming from? Well, in fish, for example, you buy fresh fish, freshly caught and gutted, frozen fish: fish don’t have any histamine. But, if they are not processed adequately, if they are not frozen immediately after they are caught and gutted, then the bacteria in the gut of the fish start to break down protein. The protein of the flesh contains many amino acids, the most important of which (in our discussion) is histadine. Histadine is converted to histamine by histadine decarboxylase which is a specific enzyme which these bacteria make. This enzyme converts the histadine into histamine and the longer the fish is hanging around unprocessed and un-gutted – the level of the histamine rises and bacteria multiply every twenty minutes. So that histamine could rise pretty rapidly. So there’s the source from the fish. We can eat fish if we have an excess of histamine but it has to be freshly caught, gutted immediately or frozen immediately. People often question my use of salmon, tuna and other high omega 3 fatty acid darker fleshed fish. I personally haven’t noticed any difference in my reaction to white or darker fleshed fish. Is dark fish higher histamine? No – it makes no difference whatsoever. It’s the bacteria in the gut. Now, talking about canned fish, in North America, I’m pretty sure it would be true in the UK too, we have very stringent regulations regarding caught fish. It’s usually frozen on board ship. That’s fine, because the bacteria don’t have a chance to multiply and act on the flesh. But, a lot of the fish that is canned in countries where the regulations are not as stringent can be from fish which does contain histamine as a result of the processing. So anything that is coming from sources that we don’t know have been processed adequately, avoid – because there is a chance of the fish having already been broken down – the histadine and the histamine has risen. The other caveat with canned fish – some of it is sulphited, as sulphites release histamine (by a different process) – anything sulphited must be avoided because that will release histamine. Shellfish, we don’t gut – so obviously, the shellfish are out because the bacteria in the gut of the shellfish do a similar thing – converting histadine to histamine and that’s always a potential source of histamine, so avoid shellfish – that’s the simplest thing. Now, as far as going through other protein foods – anything that is fermented or processed is going to contain histamine. We’re looking at things like pepperoni, salami, baloni, bologna – all of the processed and fermented meats are actually aiming to give flavour to the foods so this is completely out because of the high level of histamine. So, as far as meats on the histamine-restricted diet, only the fresh meat itself – for example, a roast or roasted poultry or things like that, which is not processed and not fermented – so those are okay. Then we go to other protein foods such as eggs – in themselves don’t contain histamine, but egg whites are known to be a histamine-releaser. So anything with excess egg whites – mouse, or merengue or baked alaska, for example, where the egg whites are predominant, are not a good food for histamine. A small amount of egg in a baked product doesn’t seem to be a problem at all. How about fermented foods – don’t we need some of those? The fermentation process is going to release a certain amount of histamine, so that’s where probiotics – which are in milk, fermented milk, are not a good idea – but the other protein food which is very important is milk. Now milk, in itself, is perfectly okay, as it doesn’t contain histamine, but fermented milk products, of course, do – because there we’ve got the microbial fermentation and histamine being a product as result of histadine breakdown, histadine conversion. So, cheese, for example, anything that has a microbial culture, including yoghurt, buttermilk, keffir – any of the fermented milk products are likely to contain histamine, whereas milk or cream, including ice cream (as long as it doesn’t have another ingredient that is histamine releasing) and butter, are perfectly okay: it’s the fermented milk products that are a problem. And then we get to the fruits and vegetables. Now some of the fruits and vegetable do have a high level of histamine or may release histamine. I found a very interesting article, years ago actually, in a rather obscure agricultural paper, very interesting, and I was looking into that a little bit further, and it seems that some fruits (particularly) need histamine for ripening. Particularly the red ones. So things like tomatoes, cherries even red beans, for some obscure reason that I can’t find in the research literature, but I’m hoping someone will look at this more closely, they need histamine for the ripening process. So, for example, people who have histamine intolerance, they can probably eat – well, I’ve found this – green tomatoes. And there is a species of tomato that does not ripen. And the histamine level in that is very low, or non-existent. 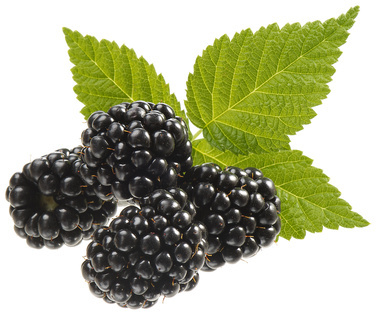 Berries – now this is different source of histamine. Berries tend to be high in benzoates. Natural benzoates. Benzoates release histamine. And so certain berries are higher in benzoates and so release more histamine. And the berries that I see that are really problematic tend to be strawberries, raspberries, cranberries – cranberries are a great, sort of, health food, but for a person who has histamine intolerance they can be a problem. So berries and the benzoates, rather than the ripening process. So, looking at all of these I have made up a list as a result of looking at the ones that are high in histamine, from laboratories that have done histamine level tests, as well as those that are likely to release histamine as a result of the benzoate level. So my lists include the vegetables and the fruits that are associated with histamine levels and histamine release. And then we come to the herbs and spices – and again, looking at these, what are we looking at? Well, in cinnamon, it has a very high level of benzoates – so again we’ve got this factor where histamine is released as a result of the benzoates in the cinnamon. And cinnamon in any spice mixture such as curry spice mixture, chilli spice mixture – and then there are certain herbs which release histamine. Thyme, for example, releases histamine. Most of the herbs are okay – it’s the spices which are problematic. Cinnamon, cloves, anise and nutmeg. Thyme is one of those that may or may not be a problem. And I suppose it depends on the species too. We don’t have that research to tell us – it’s the only herb, actually, that is associated with a possibility of the benzoate [process]. . The other group that I haven’t mentioned are the legumes, and the two which are very problematic are soy and red beans. How about chickpeas and lentils? A lot of people seem to have the idea that they’re high histamine. No, no they’re not. Not really. That leads me to the thyme information that you just gave me…this is something that I find interesting. A lot of foods that appear on high histamine lists also have positive attributes including some anti-inflammatory, mast cell stablising or antihistaminic properties – such as some varieties of mangos, peaches and cacao. Do you feel that lists adequately address this and how should we weigh up the anti-inflammatory/antihistaminic properties of foods in relation to their appearance as a “no” on these lists. Yes, it is a matter of risk-benefit balance. Always a factor when we’re looking at therapies, whatever they may be – dietry, drugs, whatever we’re looking at, really. It’s a risk-benefit balance that we are looking for, where we have more benefits than we do risks. Of the lists that you gave me, mangoes are okay on any histamine list. There’s no reason to avoid mango. Blueberries: these are berries, some of them will have benzoates, some of them don’t – it depends on the species, the ripeness and all sorts of things. Blueberries are low on the berries list, but all berries do have certain level of benzoate that we do have to be a little bit cautious about. So these are usually perfectly okay – the level, the association with histamine is not really significant. Of the list you gave me – cacao: that is a problem with histamine, that one I wouldn’t include. You see the problem is that it’s very difficult to associate a reaction with a specific food. You can do it with allergy, of course, because you eat the food – you have an allergy [reaction], there it is, clear and simple. But if you are on a low histamine diet already, the level of the water in your bucket is pretty low, it’s below your limit of tolerance. And so you can eat certain histamine related foods – particularly if they’re not very high in histamine or benzoate, you’re not filling up your bucket with water, so in this situation you can consume these more beneficial foods and still not fill up your bucket with water. As long as you are not consuming a lot of other high histamine foods. And that’s the beauty of histamine intolerance without allergy is that you do have this more liberal type of diet because until you reach and exceed your own limit of tolerance you are safe. Absolutely, that is the foundation of my approach. Oh, I’m so glad to hear that because it is the only approach that makes any sense or has any value in histamine intolerance management, it truly is. But then, we should discuss other sources of histamine that people may like to know about other than foods. I mean, yes, we control it through food, but there are other factors, for example, this is what brings us to the probiotic question. And that is, many people who have histamine intolerance have a situation where the bacteria in their own digestive tract are converting undigested proteins that go into the colon – these bacteria convert the histadine into histamine so the body itself can be a source of excess histamine. That is important because the same bacteria in the gut of the fish that convert histadine into histamine are in the microbial flora of the colon and these people are, in fact, are the ones who are likely to have excess histamine as a result of it coming from their own microflora. Is this where we would consider treating with probiotics? Well, let me say that this is the research that – years ago I came to England to do a sabbatical – and I wanted to work on that very topic, because I have a list of the microorganisms that convert histadine into histamine because they make histamine dexycarbolayse. I also have a list of microorganisms that synthesize Diamine Oxidase, which means that these microorganisms will actually break down the histamine that may be produced by these microflora constituents. What I wanted to do was to develop a probiotic that would introduce these DAO producing bacteria and displace those that were converting histadine to histamine: we do not have targeted probiotics at the moment. We do not have probiotics available to us that will make Diamine Oxidase and that will colonise the microflora of the gut and displace the others, so all that we do at the moment is put in random species of bacteria and hope that will help. But we do not have the research that would allow us to specifically target this particular problem – that would be what we really require, is a probiotic that is targeted. I suppose that is what we’d call third generation probiotics. Specifically targeting an enzyme system to displace one and replace it with the one we want. DAO producing bacteria, I’m sure that’s something a lot of people have dreamed of! Oh, I know the species – I know exactly which organisms to use – the only thing is that we have to go through all the trials to make sure that they are fit for the human body – we couldn’t possibly just randomly throw them at people – and that’s the research that hasn’t been done. Well that’s too bad. Hopefully there’ll be some funding in the future because I’m sure we’d all make use of it! Just going bac to diet quickly. I wanted to ask your opinion. My personal dietary approach has been to remove high histamine foods, but as I go to replace them with high nutrient, lower histamine foods. But now I’ve actually graduated to the point where I’ve been able to re-introduce higher histamine high nutrient foods. I’m very concerned about the people who write to me telling me that they’ve been reduced to four or five foods. Could you please tell us how we can get past this? That is the thing that I come up against so often and I think that whoever has advised them, if that’s where it’s come from, that’s really malpractice because whatever foods I take out of someone’s diet, I always insist that it is replaced by food of equivalent nutritional value. It’s the most important part of dietary practice, to ensure that the person is adequately nourished – whatever diet the person is on they should never be given a list of foods to avoid without a subsequent list of foods to substitute them with. Absolutely! Which brings me to the question: a lot of people who are down to a few foods – what’s the possibility – without saying that – and it used to upset me greatly when people would say it’s all in my head – it’s all in your head don’t worry eat it you’ll be fine! I’ve heard that same argument.. That’s just pure ignorance! What I am wondering though is, is there a possibility that our brain has become sensitized to a negative experience with food, or more than one food, that has caused a negative experience and that’s now colouring our experience with food. A very big possibility and that I’ve seen through allergy practice through the years – because my practice is all food allergies and intolerances as well as histamine. I think people become food-phobic. They’re convinced that a food is going to make them ill or might even kill them. It is anorexia nervosa, in the true term, which means that the brain is literally starving the body as a result of fear of food – it is a fear, it is a phobic situation, most definitely. My worst experience of a patient with that was a young boy, actually he wasn’t that young – he was fourteen. He came in with his parents to me, referred to me by his doctor and he was fourteen and when I first saw him I would have said he was no older than nine, he was fragile, tiny, very thin hair, wore a baseball cap all the time because his hair was so sparse. And the history was that his mother had taken him for allergy testing when he was six months old and the allergist had done skin testing, which is never something that I would recommend ever, but there you go – six months old, skin testing and he’d come out with so many positive reactions that he was only left with about six or eight foods. And his mother diligently avoided all of the other foods – she’d been told by the allergist that the reactions were severe so he was at risk, so until the age of fourteen he had only eaten these six or eight foods. So he was literally starving, from the nutritional point of view, I mean – he wasn’t starving because he was eating adequate amounts but he was nutritionally very very undernourished. And so the first order of business was to reintroduce foods and I developed a programme that he would start with small quantities and we would slowly reintroduce foods and monitor his reactions to make sure he wasn’t reacting to the foods – so the parents now had this programme to start introducing new foods to his diet in a very controlled fashion. We set up an appointment two weeks later for them to report back what had happened and this time the mother came back only with the son. I asked them what the situation was and how they had got on and they she said “hmm, we didn’t do it”. I said “oh, why?” And she said that the day before they were going to start the first test, the boy was so anxious that he was vomiting continuously, he couldn’t sleep – he was absolutely in a panic mode because he had been told from the beginning that the other foods he had to avoid because he would die as a result [of eating them]. So he was convinced that the beginning of his testing would mean that he was going to die. And so that was an extreme case of food-phobia to the point that the child couldn’t cope with the idea of starting these foods. I know that’s extreme but there are all degrees of that phobia that I see. It’s not that extreme; I come across it every day. When you come across a situation like that – personally I was given an elimination list and pretty much little else and struggled with it for a few years, not understanding why I was getting sicker. I eventually realised that I needed to add foods back to heal, but by this point I had become fearful of food because no matter what I ate I was still reacting – to everything. Because I also didn’t understand that digestion releases histamine or that histamine is required for digestion. That’s right exactly – you put food in your mouth and your releasing histamine. I learned to manage it and get over my fear of food by approaching it as, for lack of a better way of putting it, as a partner in healing. Wonderful. Wonderful, yes. That’s how I try to approach my patients and how to make friends with food, if you like – to use a psychological approach, I suppose, I use that a lot. But I also employ the small dose continuous exposure [idea] and I actually talk to my patients and explain what’s going on – that we have to start re-feeding as if they were babies. And as a baby they were given food – in fact, they were first exposed to food in their mother’s breast milk – that’s where we start tolerance, and I explain about tolerance and how we do the same process and give a tiny amount in increasing quantities and literally re-educating the body that this is safe, it’s going to be integrated into your body and we are going to make it part of the process of healing. That’s how I approach my patients while in that situation. It’s amazing to hear you say that because that’s exactly what I did for myself, with a hefty dose of meditation on the side. Meditating while prepping food, eating. Is there some kind of stress relief or meditation that you recommend to your patients? Well, I’m glad you brought up the topic of stress, because that is very important – in fact, I’ve got this in another of my books ‘Digestion, Diet and Disease’, where I have discussed that whole problem of stress, and give a flow chart showing that stress actually results in the release of histamine as part of the hypothalamic pituitary adrenal access process. So stress in itself, that phobic stress, around food can release more of the problematic chemicals, if you like, to put it simply. So the process itself is contributing to the problem. So anything that is going to reduce stress is very beneficial, because that is not in your head, well, it is in your head but it’s a biochemical process in your head, it’s not something you can control, it’s a biochemical process – a metabolic pathway. And that is something that I explain to my patients as well. That this is part of what’s going on and we have to gently intervene and divert to a positive rather than a negative response. Visit Dr Janice Joneja’s site for information on how to book a consultation. Listen to part two of our interview here.